Trisuli river is a good option for rafting for all year round. 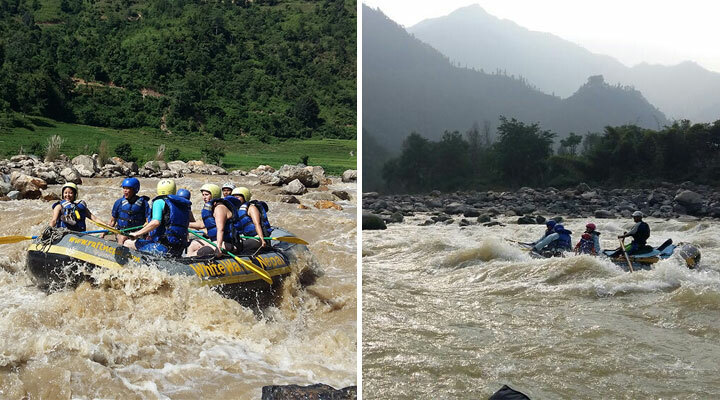 Rafting duration from 1 hour to 2 days. Rafting can be done on different section so that it makes it Suitable for family trips as well as for adventure lovers. Learn to kayak at Himalika camp/resort. The location is perfect for learning how to kayak or to develop your skills further. Ever run a white water river in your own boat? Just you and the challenge of the river. Run rapids, surf big waves, all the fun stuff. Need some skills? We can help you with that. Our kayaking courses for beginners make it sure that even first-timers can enjoy. We can teach everything you need to know. Paddle strokes, river maneuvers, rolling, reading water, whitewater and kayak safety and more. We have all the latest equipment and would love to teach you. We are Team of internationally trained and experienced kayak instructors with International and Nepalese certifications. Recommended: 4 days kayak course. There is great a spot for canyoning/abseiling just 10 min. minutes walk away from the Himalika and a 30 minute hike to the abseiling starting point! And we are inviting you to join the fun! This canyon is simply great in the autumn season! Fun walks, adventure drops, beautiful waterfalls and great pools at the bottom. Jalberi Canyon is just 35 minutes drive from the Adventure center. Feel adrenaline passing through your veins! 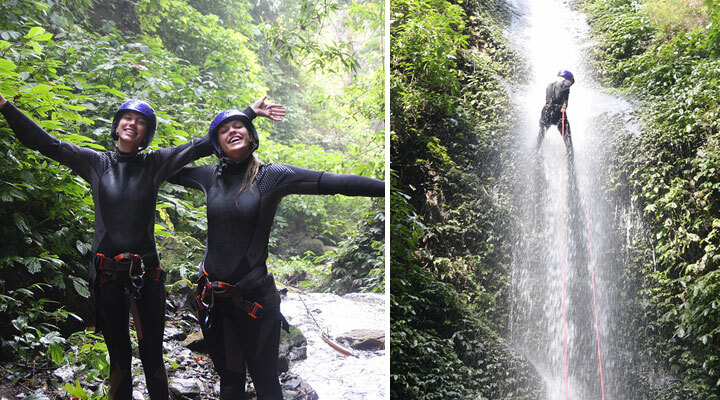 Beautiful scenery, the sounds of splashing water, amazing waterfalls, exciting jumps and slides. And we have more to share with you! Hidden Canyon. Join our Team for Adventure in Nepal!